Figuring out how to avoid Gov. 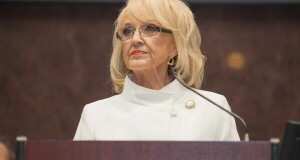 Jan Brewer’s veto pen is a guessing game that leaves even some of the most seasoned veterans at the Capitol perplexed. Many lawmakers and lobbyists say there are no hard and fast guidelines for avoiding a veto from a governor who vetoed 91 bills in her first four legislative sessions. The most outstanding quips, gibes and utterances to emerge from the political debate in Arizona this week. The Chamber of Commerce's lead immigration negotiator said Friday he's hoping for a deal soon with the AFL-CIO on a new temporary worker program, but the sides are still apart on important details. The Legislature’s first public hearing on Gov. Jan Brewer’s Medicaid expansion plan is moving from the friendly confines of Rep. Heather Carter’s House Health Committee to more hostile territory. The Arizona House gave final approval Monday to a bill granting new tax breaks of $50 million over three years for insurance companies that invest in high technology companies. Reversing its stance just a year ago, the Senate today rejected – three times – a proposal to prohibit automatic paycheck deductions for union dues. House Speaker Andy Tobin is sailing ahead in his attempt to pass a comprehensive long-term water plan for the state, even in the face of a flood of opposition from rural cities, counties, ranchers, farmers and conservationists. Tobin’s marquee water legislation, HB2338, headed for a vote in the House Water and Agriculture Committee on Feb. 19. But when opponents showed up en masse, the committee decided not to hold a vote. 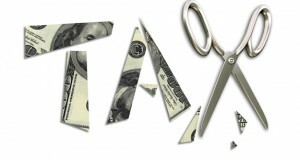 An Arizona House committee has given initial approval to bills cutting taxes by millions of dollars for companies that expand or invest in new startups and also includes a 2 percent tax deduction for the self-employed valued at $58 million a year. As Arizona’s population has expanded, the state’s water supply has been quickly dwindling and without action, the state will face shortfalls that could cripple its ability to grow or even endure.